Disco glamour is about to stage a glitzy comeback and Nike is fully on board. 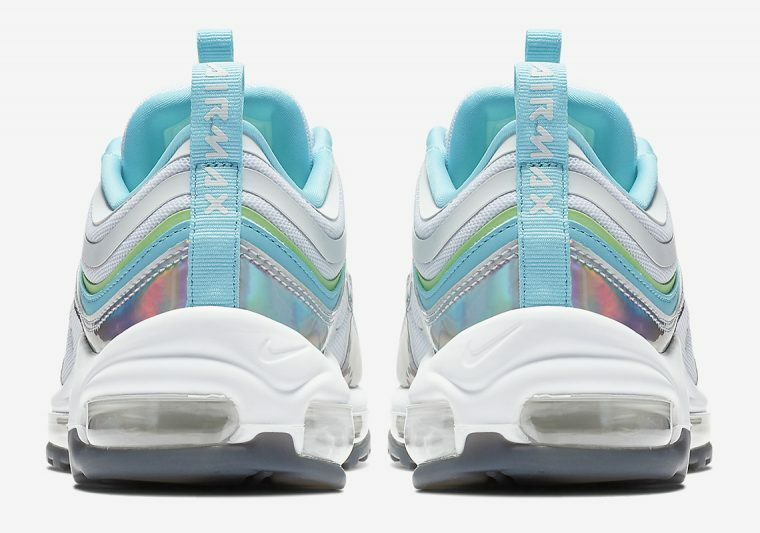 Iridescent detailing has already been exhibited across the Air Force 1 LV8’s panel piping, while the recently introduced Air Max 720 showcases a subtle shimmer across its oversized bubble midsole. 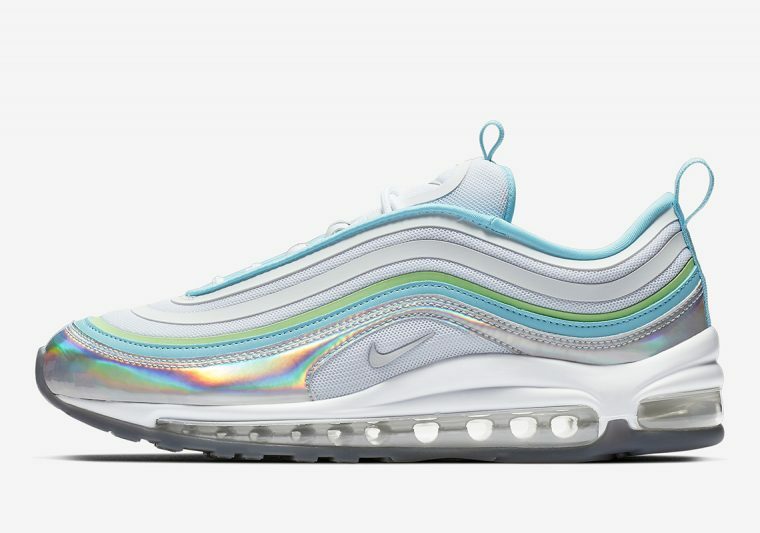 Next up to receive inspiration from fashion’s dance floor influenced trend is none other than the Air Max 97. 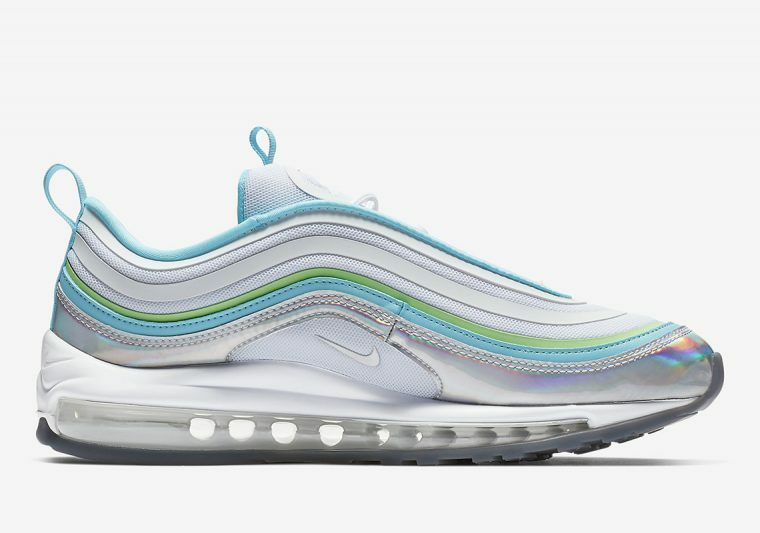 Arriving in a light and bright colour scheme with hits of baby blue, white, and lime green appearing throughout, the sneaker’s signature waves draw attention with a luminous effect, which is placed just above Nike’s metallic mini Swoosh. Perfect for SS19, this vibrant design will pair impeccably with white denim and retro accessories. If you’re planning on cutting some serious shapes in these sparkling kicks, you can be sure that your feet will be supported all night long due to the brand’s supportive Air unit and icy grey outsole. 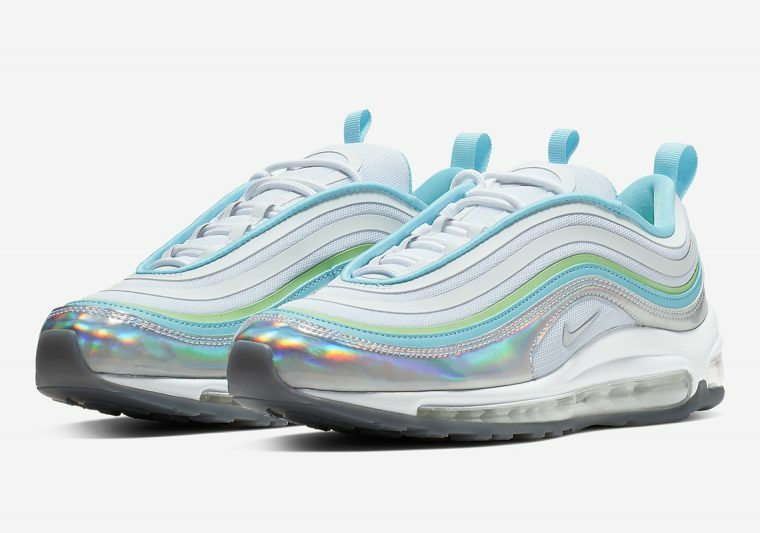 The AM 97 Iridescent is set to arrive later this month. Keep it locked for more news and updates regarding the official release.